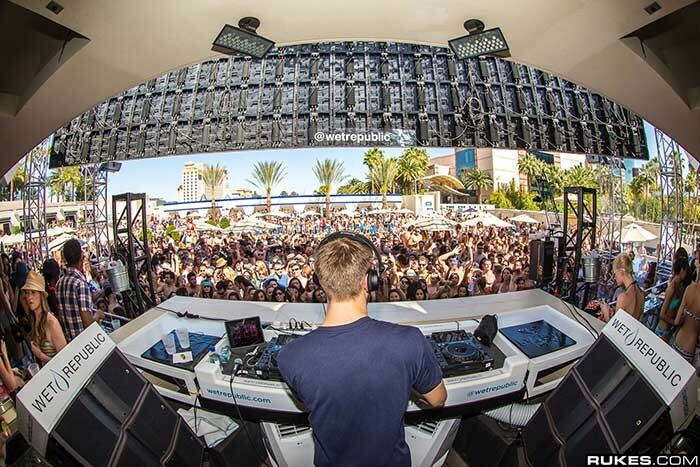 L-Acoustics' KARA/SB18 combination is quickly emerging as the monitoring system of choice among the world's top EDM superstars, further evidenced by the fact that Audiotek recently specified the package for MGM Grand Hotel & Casino's two newest venues: Wet Republic Ultra Pool and Hakkasan Las Vegas. 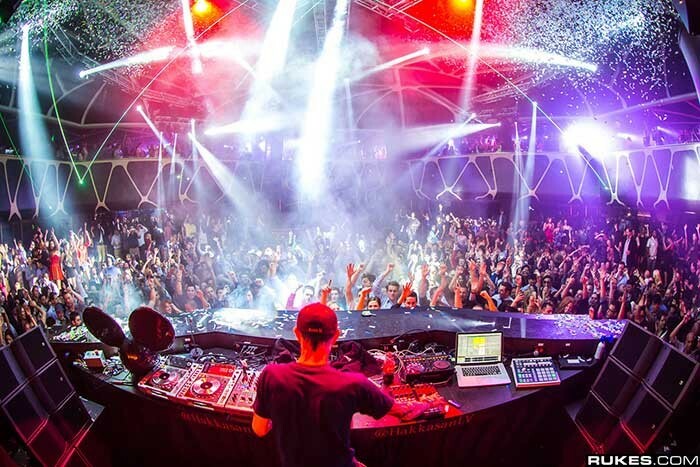 In early April Audiotek purchased and installed six KARA loudspeaker enclosures and four SB18 subs in the DJ mix area of Hakkasan for its client, Angel Management Group (AMG), which operates the venue. Later that same month, an identical monitoring setup was installed at the AMG-owned 53,000-square-foot, adults-only pool club, Wet Republic. Solotech's Las Vegas office facilitated the sale of both systems. "The combination of three KARA enclosures and two SB18 subs per side has truly become the EDM festival standard as well as an artist rider staple for all tours and clubbing events," says Audiotek Managing Director Frank Murray. "With Wet Republic and Hakkasan being two of the EDM world's highest-profile venues right now, it was a no-brainer for us to use them." Currently hosting DJ residencies by major artists like Tiesto, Deadmau5 and Calvin Harris--not to mention shows by Steve Aoki, Bambi, Bingo Players, Hardwell, Laidback Luke and 20 more international headliners on the monthly rotation--Wet Republic and Hakkasan literally deliver an EDM festival bill as standard every week. "We've worked with Neil Moffitt and his team at AMG for many years and their attention to detail in providing the best clubbing experience for its patrons is second to none--no expense is spared, and no technical detail is left to chance," notes Murray. "Likewise, with such a huge investment in talent, AMG instructed us to provide the DJs with the best possible tools to help them perform at the top of their game every single show. After installing KARA and SB18 at Hakkasan, we immediately knew that we needed to put an identical rig into Wet Republic. It was the only option, in our opinion, and has proved to be the right choice meeting with universal artist acclaim. Everyone has been delighted with the facilities and technology installed."